Affleck's The Batman Delayed Because Justice League Is a Mess? 2016 was supposed to be the year that Warner Bros. blew the door wide open for the DC Extended Universe. Instead, it feels like they blew half the door out of frame while a good chunk of fans rushed to shut what remained of the terribly broken door behind them. Both Batman V Superman: Dawn of Justice and Suicide Squad were divisive, to say the least. 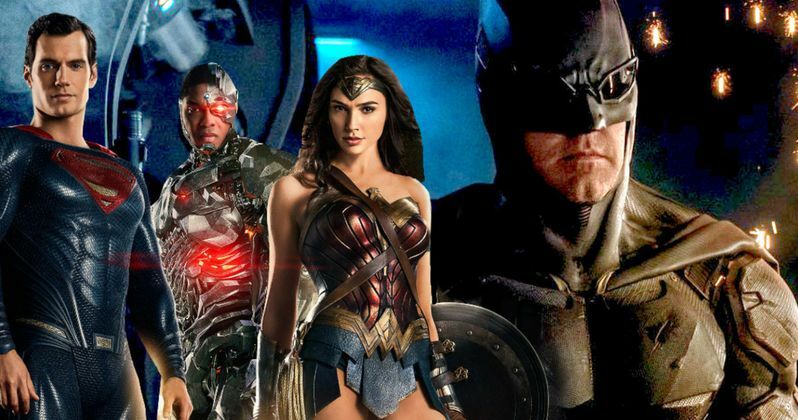 Still, there is plenty of hope on the horizon, with Justice League due out later this year and Ben Affleck's The Batman supposedly readying for production sometime soon. But things may not be all good and well. In fact, they may be a "mess." According to the Batman fan site Batman On Film, Warner Bros. and Ben Affleck have pushed back production on The Batman by a couple of months. The site couldn't name the source for their information, but they did say it came from a longtime source, so that might lend some credibility to it since they have gone to the same source multiple times. That said, Batman On Film doesn't exactly have a perfect track record, so this shouldn't be taken as gospel or anything, but it does seem to line up with what we've been hearing as of late. Ben Affleck was officially announced as the director of The Batman over the summer at San Diego Comic-Con and since then, things have gotten a bit muddy. Anticipation was at an all-time high when it was announced via some shaky footage released online by Ben Affleck himself that the villain of The Batman would be Deathstroke and that Joe Manganiello would be playing the famed mercenary. Since then, things have been a bit less exciting and much more confusing. Ben Affleck is working on the script with DCEU head Geoff Johns, but the script isn't finished and Affleck keeps doing his best to temper expectations. Most recently, he implied the movie may not even happen with him at the helm. Here is what he had to say in a recent interview with The Guardian. "That's the idea. But it's not a set thing and there's no script. If it doesn't come together in a way I think is really great I'm not going to do it." Comments like that raise questions. Like, why would Ben Affleck agree to do this movie then publically try to temper expectations in such a way? Well, the folks at Batman On Film may have an answer for that as well. Justice League is mostly done shooting and almost everything we have seen has been very encouraging, but the site notes that they are hearing the movie is "a mess." Given that Zack Snyder is directing the movie and that he also directed Batman V Superman: Dawn of Justice, that isn't the hardest thing to believe. Even the most confident defender of the DCEU can acknowledge that BvS wasn't the cleanest movie ever made. Also, since Justice League was scheduled to start shooting right after the release of Batman V Superman: Dawn of Justice hit theaters, Warner Bros. and Zack Snyder were forced to try and course correct on the fly following the poor reception from critics. That isn't exactly the best way to kick things off. Perhaps, and again, this is mostly based on hearsay, if Ben Affleck is getting the feeling Justice League is a mess after being in it, he might want to distance himself from The Batman as a result? He has been very vocal about his distaste for the Daredevil movie he took part in and that he decided to play Batman so that he could get a superhero movie right. He has defended Batman V Superman publicly but he must know that the movie wasn't a home run. If the Justice League movie winds up being another divisive movie, he probably won't want to spend this much of his time on movies critics and many fans don't love in the future. He is a very in-demand talent both in front of and behind the camera, after all and he isn't getting any younger. Still, much of this is unconfirmed and we don't have much to go on, but there is perhaps cause for some concern. For now, most of the Justice League promotional materials have been encouraging and The Batman will merely be shooting in the summer instead of the spring. If that really is the case, then no harm no foul. But, there is a chance this is signifying a larger, underlying issue with the DCEU. Justice League is scheduled for release on November 17 and Warner Bros. has not yet set a release date for The Batman, but it is still expected to shoot sometime this year.